I extended the relay controller design that I put up recently to do the task of being a watering system. Getting the code to fit into an AtMega328 was a bit tricky, I kept having stack overflow problems because my strings were too big. But it fits! 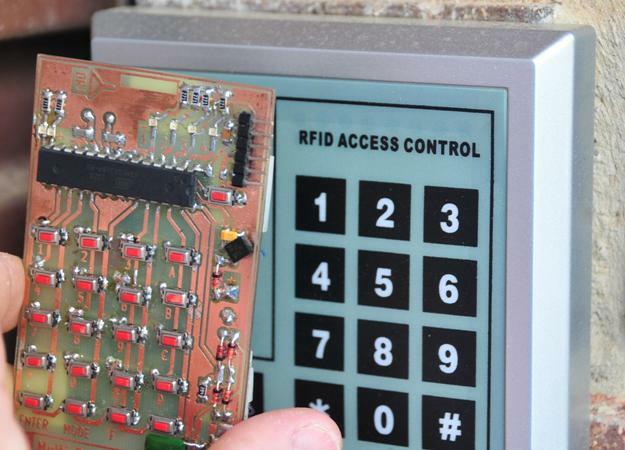 And it uses a Microchip ENC28J60 ethernet controller. Full design files are in the Instructables.com article here. If you want to download the project tree – Here it is. interesed proyect for DIY, please send me to email hex file for ATMEGA. and Full design files are in the Instructables.com article here. not work link in web page. 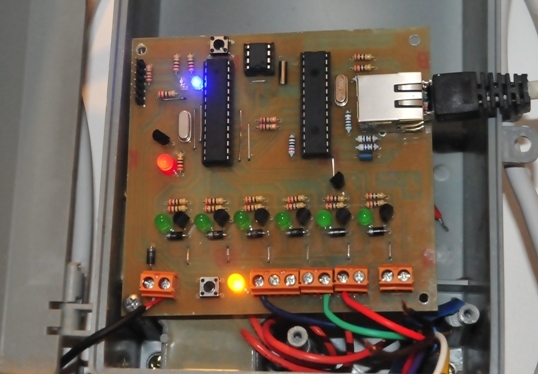 this project uses an Atmega as an Arduino – and the Arduino IDe – there are no hex files. I have successfully built your “credit card sized Ethernet Arduino compatible controller” and get it work. Thank you very much for sharing your project. Now I am able to control some relays and I am going to plug some sensors too. The only think I had to overcome with it was the magjack, which I am able to find another brand with different pinouts. The so called SOIC packets and SMT caps were really fun to solder. Now, as to your “Ethernet connected watering system controller”, I would like to build one too. However we have no “odds and evens” here in Turkiye. For me, it will be another exciting project of yours to build. But I am quite good at building hardware and nearly have no experience in programming. I would be very grateful if you write a modified version of the sketch so the controller can be programmed to any day of the week. Another thing is the same starting time assigned to all zones. It could be better if we able to assign different starting times for each zone if possible.